Our traveling event series has taken us all over the world this year—from the desert sands of Coachella to an exquisite refurbished opera-house-turned-digital-media-house in Paris to Beijing’s most avant-garde center for contemporary art—but one constant uniting all these events and locations has been the evolving work of United Visual Artists (UVA). A multi-disciplinary collective from the UK, UVA can best be described as “architects of light and sound,” creating colossal interactive installations and sets for live performance that have the power to attract and captivate audiences like moths to the proverbial flame. As one of our main Studio works this year, they redesigned the Coachella main stage as The Orchestrion, both a platform for performance and a standalone, cubic light and and sound sculpture with experimental music by Creator Mira Calix. The work then traveled to the Nuits sonores in Lyon, where it served as the entry point to the festival as Conductor, a monolithic 16 meter totem, animated with UVA’s light designs and set to an original score by Scanner. The installation then became a mysterious, infinite and reflective Room with a View in both São Paulo and Beijing. For our New York event in DUMBO this weekend, UVA will debut Origin, their latest large-scale responsive LED sculpture. At 10 meters wide and 10 meters high, it’s the largest responsive work they’ve created thus far. Taking inspiration from UVA’s previous monumental site-specific works like Monolith, Tryptich and Volume, they’ve created a giant cubic structure that is simple in form but still manages to create a powerful ‘otherworldly’, ‘alien’ or ‘god-like’ presence. Calling to mind images of Mecca and the Tower of Babel, the group hopes to capture the energy and diversity of NYC in the experience. “Monolith” (London, 2005). Image courtesy of the artists. “Triptych” (Paris, 2007). Image courtesy of the artists. “Volume” (London, 2010). Image courtesy of the artists. Origin is a cubic lattice composed of 125 two-meter cubic spaces mounted with linear LED strips, allowing it to emit varying light patterns in all directions. A network of speakers (bass and treble) generates real-time loud ominous sounds from a new original score by Scanner. Visitors will be able to meander inside the structure, immersed in its sights and sounds and influencing these sights and sounds in turn. Origin is alive, and it’s moody. It will stay in a state of calm, soothing bliss for fifteen minutes at a time, lulling its occupants into a sense of false security. Then, seemingly on a whim, it will take exception to their behaviour; its metaphorical tail will start to lash back and forth like a cat’s, until it explodes into an angry tantrum that rises to a terrifying crescendo. Then it will again seemingly calm down. While it remains purposely mysterious, it’s clear that its mood changes are triggered by people moving within the structure; while you’re queueing and watching the people inside try to discover ‘how it works’, you’re also forming your own hypotheses. DUMBO residents have already been gathering around Tobacco Warehouse to gawk at the structure as it rose from the ground. The sight was particularly stunning at dusk when the LEDs were displayed in their full resplendence. To uncover the secret of Origin you’ll have to venture out to DUMBO this weekend and experience it for yourself. The sculpture will be open to the public starting October 12 from 5-9pm. Over the weekend (October 15 & 16), it will be open all day from 12-10pm, then again from 5-9pm through October 23. Be sure to RSVP to the NY event to receive entry. The event is free and open to the public (with the exception of the Karen O psycho-opera Stop the Virgens, but all venues will be subject to capacity. Images courtesy of UVA / James Medcraft.Origin will be open to the public through October 23. 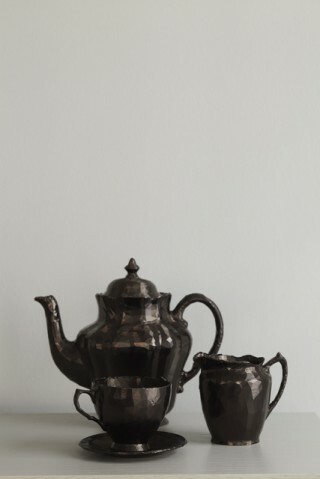 A tea set was created by purchasing non-matching tea set components, scanning them with a Z-corporation 3D scanner and roughly repairing the digital mesh files. 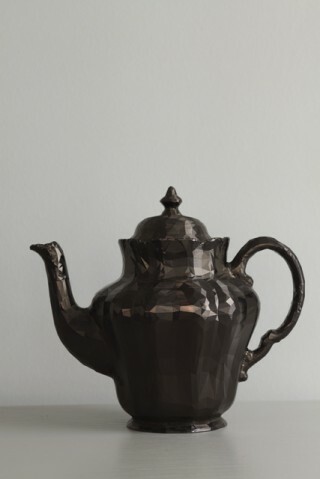 The mesh files are then 3D printed to create an instance of this tea-set data that inherits the glitches from the analogue-to-digital-to-analogue translation. Also below is short animation experiment Matthew made using a crude 3D scan of his friends baby Harriet. 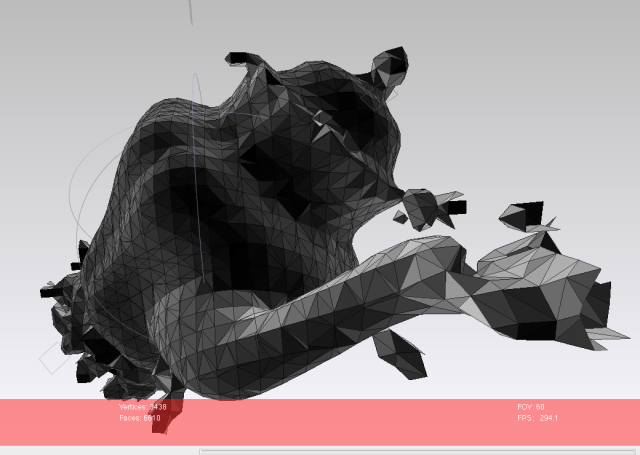 The meshing algorithm curiously created a caccoon from fragments of scanned baby pram, which inspired the title of the piece. Before there was MySpace, there was GeoCities, the vast metropolis of glitchy amateur websites, pulsating with gif animations, that were the hub of digital culture for countless late-'90s teens. If you haven't found yourself in some cobweb-coated corner of the internet in a while and landed on one of their sites, that's because Yahoo shut down U.S. GeoCities two years ago, just 10 years after acquiring it for $3.57 billion at the height of the dot-com boom. Pained by the potential loss of the record of 35 million participants' personal expression, the Internet Archive Team launched a project to save the GeoCities data for posterity, releasing a 641-GB torrent file worth of GeoCities data on the one year anniversary of its closing last October. Now this year, Dutch information designer Richard Vijgen has plotted that data along a scrollable world map of all those ancient GeoCities. He's calling it The Deleted City, "a digital archaeology of the world wide web as it exploded into the 21st century." 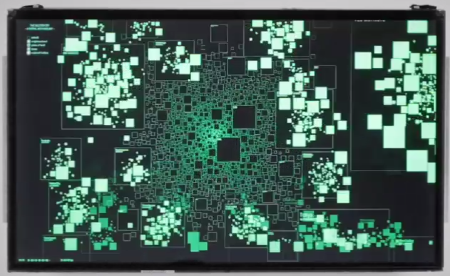 It lives as an interactive touchscreen data visualization. The project gives a visual representation to the change in thinking and living through the internet that we've undergone in the past decade and a half. Before the internet was understood as a (social) network, GeoCities conceived of it as a city, where "homesteaders" could build on a digital parcel, grouped in "neighborhoods" based on topic. (Celebrity oriented sites were grouped together in "Hollywood," for example.) The Deleted City replicates this logic by organizing the old websites along an urban grid. Thematic "neighborhoods" that had more content associated appear bigger. As you wander the city, you can zoom in to get more detail, and eventually locate individual html sites. While GeoCities lives on in the popular imagination as the punchline of design and tech jokes—there's even a website to paint over slick 21st-century design with a GeoCities patina—Deleted Cities draws attention to the the way that it helped many people pioneer the web, and captures a slice of web history in a dynamic and elegant way.